The number of patients undergoing parathyroidectomy for primary hyperparathyroidism from 1973 through 2002 in the Department of Surgery, University of Hong Kong Medical Centre, Queen Mary Hospital. A 7-fold increase in the prevalence of operated on cases per 100 000 hospital admissions is noted. A, The multichannel autoanalyzer was introduced to our hospital in 1982. B, The number of patients undergoing parathyroidectomy in Hospital Authority (HA) hospitals compared with that in Queen Mary Hospital from 1995 through 2002. Bar chart showing the age distribution of patients operated on from 1973 through 2002 (A) and the number of patients 50 years or younger or those older than 50 years at the time of surgical treatment divided into 3 consecutive 10-year periods (B). Hypothesis With the introduction of the blood chemistry multichannel autoanalyzer, primary hyperparathyroidism (HPT) is increasingly diagnosed. The clinical pattern of primary HPT has undergone a significant evolution in Western countries. A similar change can be documented in a geographic region where this condition is considered to be relatively uncommon. Setting A tertiary referral endocrine surgical unit. Patients All patients with primary HPT surgically treated over the past 30 years. Main Outcome Measures The prevalence of patients per 100 000 hospital admissions, clinical presentation, biochemistry study results, pathologic status, and main outcome were compared over three 10-year spans according to the introduction of the multichannel autoanalyzer in 1982: 1973-1982 (n = 20), 1983-1992 (n = 31), and 1993-2002 (n = 190). Results A 7-fold increase in the prevalence of patients with primary HPT who were surgically treated per 100 000 hospital admissions was observed over the past 10 years. The clinical presentation of patients with primary HPT had evolved progressively with a higher proportion of older patients (P<.001) being asymptomatic. On presentation, the condition had decreased in severity with lower serum calcium (P = .04), parathyroid hormone (P<.001), and alkaline phosphatase levels (P<.001) as well as a smaller adenoma size (P<.001). There was no significant change in the underlying pathologic condition and surgical success. Conclusion Similar to the West but in contrast to that observed in other Asian countries, an increase in the prevalence of patients surgically treated for primary HPT is documented and a change in disease presentation as well as its severity is observed in our population group. However, despite the introduction of the biochemical autoanalyzer in the 1980s, primary HPT was a relatively uncommon condition among Hong Kong Chinese, with an estimated incidence of 1 in 3000.4 There was minimal change in the clinical pattern of primary HPT in our population as well as the prevalence of the disease.5 Most of our patients presented with advanced skeletal manifestation or significant hyerpcalcemic symptoms associated with large parathyroid adenoma. Other Asian countries similarly reported that this condition remained uncommon with most patients presenting with severe osteitis fibrosa cystica.6-8 In fact, the clinical and pathologic characteristics of patients with primary HPT recently reported from these developing countries mirror those reported in the West a few decades earlier.8,9 A geographic or causative difference of this condition between different population groups has been proposed.1 However, data on the prevalence and change in clinical pattern in our population has not been published since our report in 1988.5 In the present study, we looked for any changes in the prevalence and presentation of patients with primary HPT surgically treated in a geographic region where this condition was considered to be an uncommon disease in its asymptomatic form. The potential effect of the blood chemistry multichannel autoanalyzer is evaluated over a prolonged period since it has been adopted for clinical use. The number of parathyroidectomies performed for primary HPT for all public hospitals was obtained from the territorywide computerized hospital discharge system (Computerized Medical System), which has been established since 1995. The Hospital Authority is the governing body for all public hospitals in Hong Kong and provides about 95% of the patient care in Hong Kong—a largely ethnic Chinese population of 6.7 million. The Department of Surgery, University of Hong Kong Medical Centre, Queen Mary Hospital has the only full-time endocrinological surgical unit in the territory and serves a regional population of about 2 million. 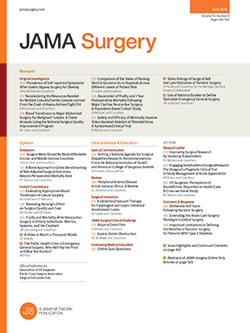 A retrospective study was performed for all patients surgically treated for primary HPT from 1973 to 1994, while a prospective computerized database has been established for all patients who underwent parathyroidectomy for primary HPT since 1995. The records of 241 patients with primary HPT who underwent surgical treatment were available for analysis. The multichannel autoanalyzer was introduced to our institution in 1982, and patients were arbitrarily divided into three 10-year periods for comparison: 1973-1982 (n = 20), 1983-1992 (n = 31), and 1993-2002 (n = 190). The number of hospital admissions annually during these 3 periods was retrieved from the hospital record. The prevalence of the disease was expressed as the number of patients per 100 000 hospital admissions during these 3 consecutive periods. The patients' demographics, clinical presentation, and biochemical profile, as well as the underlying pathologic condition and postoperative outcome, were analyzed. Statistical analyses were performed by the χ2 test, analysis of variance, and the Mann-Whitney and Spearman rank correlation tests (SPSS Inc, Chicago, Ill). Statistical significance was set at P <.05. The number of parathyroidectomies performed annually has increased steadily over the past 3 decades in our hospital. This increase was more marked over the past 10 years. In addition, the number of procedures performed in Hong Kong per year also increased markedly from 1995 to 2002 (Figure 1). During this period, the proportion of procedures performed in our institution ranged from 12% to 39%. The average number of parathyroidectomies performed annually in our hospital increased from 6 in 1982, to 8 in 1992, to 45 in 2002. The number of patients admitted to our hospital during these time spans was 619 816 in 1973-1982, 847 660 in 1983-1992, and 841 870 in 1993-2002. The number of patients surgically treated for primary HPT steadily increased over the total study period, that is, 3.2 per 100 000 hospital admissions in 1973-1982 before the introduction of the multichannel autoanalyzer, 3.7 per 100 000 in 1983-1992 after the introduction of multichannel autoanalyzer, and 22.7 per 100 000 in 1993-2002 over the last 10 years (1 decade after the introduction of the multichannel autoanalyzer). Over the past 30 years, 81 men (median age, 50 years; age range, 13-84 years) and 160 women (median age, 59 years; age range, 13-86 years) underwent parathyroidectomy for primary HPT in our institution. There was a significant difference in the age of the patients at presentation over the 3 study periods. The mean (SD) age of patients at presentation increased significantly from 45 (19) years to 46 (18) years, and then to 57 (15) years over the past 30 years (P<.001). Both male (P = .04) and female patients (P = .002) were significantly older at presentation during this 30-year study period. The proportion of female patients did not show a statistically significant increase over this 30-year study period. The age distribution of patients over these 3 periods is shown in Figure 2. After the introduction of the multichannel autoanalyzer, a distinct increase was observed in the proportion of patients who were older than 51 years undergoing parathyroidectomy. The proportion of patients who were older than 51 years when operated on increased significantly from 40% to 52% to 65% during these 3 consecutive periods (P = .05). The clinical presentation of patients with primary HPT is summarized in Table 1. Although the proportion of patients presenting with urologic manifestations remained constant during the 3 decades, the proportion of patients with primary HPT diagnosed incidentally either by routine screening or when patients presented with unrelated problems had increased from 5% to 39% to 59% (P<.001). The proportion of patients presenting with skeletal manifestation including osteitis fibrosa cystica or pathologic fracture decreased remarkably from 45% to 10% after the introduction of the multichannel autoanalyzer and has remained low at 7% during the past 10 years (Table 1). There was a significant difference in the biochemical and hormonal profiles of the patients over the past 30 years. Over time, the disease manifested as increasingly milder forms as reflected by the decrease in serum calcium and parathyroid hormone levels. The highest serum calcium level decreased progressively from 12.24 mg/dL (3.06 mmol/L) to 12.08 mg/dL (3.02 mmol/L) to 11.76 mg/dL (2.94 mmol/L) during these 3 consecutive periods (Table 2). A similar decline in the parathyroid hormone level was also noted for the past 20 years. In addition, there was a progressive decrease in the serum alkaline phosphatase level at presentation during the 3 decades. The weight of adenomas correlated significantly with the highest serum calcium (r = 0.20, P = .001) and parathyroid hormone (r = 0.40, P<.001) levels. Moreover, serum calcium and parathyroid hormone values correlated significantly with one another (r = 0.21, P<.001). The weight of excised adenomas had diminished significantly during the study period; the mean (SE) weight of the excised adenoma was 9536 (3365) mg during 1973-1982, 2037 (422) mg during 1983-1992, and 1333 (130) mg during 1993-2002 (P<.001). In addition, the proportion of patients whose adenoma weighed less than 1000 mg had increased from 26% to 36% and then to 60% over the 3 decades (P = .002). The underlying pathologic condition of patients undergoing parathyroidectomy for primary HPT is summarized in Table 3. Two patients with failed cervical exploration who refused further surgical treatment were considered to have unknown primary pathology, although a missed adenoma was the most likely diagnosis. There was no observable change in the underlying pathologic conditions during these 3 decades. The incidence of patients with familial hyperparathyroidism or multiple endocrine neoplasia syndromes was 1 (5%) of 20 in 1973-1982, 3 (10%) of 31 in 1983-1992, and 17 (9%) of 190 in 1993-2002. The incidence of postoperative hypocalcemia requiring calcium supplementation decreased significantly from 70% (14/20) in 1973-1982, to 61% (19/31) in 1983-1992, to 18% (35/190) in 1973-2002 (P<.001). Parathyroid reoperations for recurrent or persistent HPT were not performed in our institution before 1996. Six (4%) of 158 patients who were operated on over the past 7 years were reoperative cases. These included 3 patients who had previous unsuccessful primary cervical exploratory surgery in our hospital. Three patients (50%) were cured after reoperations. During a mean follow-up of 31 months, 5 patients, including 3 with familial HPT, had persistent or recurrent HPT. The overall surgical success rate was 98%. Unlike some Scandinavian countries in which population-based screening studies were performed to estimate the prevalence of primary HPT in the general population,12 our present study—based on the prevalence of the disease per 100 000 hospital admission—was adopted as an alternative comparison purpose. In our present study, and in contrary to our earlier report,5 a 7-fold increase in the procedure rate per 100 000 hospital admissions was observed after the availability of the multichannel autoanalyzer. An increase in the number of parathyroidectomies for primary HPT can be owing to changes in the referral pattern or surgical indications, improved diagnostic accuracy, increased awareness of the disease, increased patients' acceptance to surgical treatment, and/or a genuine increase in population incidence.11 The difference in the threshold of the endocrinologist, internist, or family practitioner in referring patients for surgical treatment compared with the operating threshold adopted by surgeons may have an effect on the procedure rate.19 However, the increase in the number of parathyroidectomies in our hospital does not seem to be a referral bias because a similar phenomenon was observed in other hospitals across the territory. In our locality most patients having a diagnosis of primary HPT are referred for surgical treatment. The annual procedure rate for this condition in Hong Kong can be estimated at 2.5 per 100 000 population. Despite a relatively low incidence compared with other Western countries, a similar change in clinical characteristics of patients surgically treated for primary HPT is observed. In our study, despite the availability of the multichannel autoanalyzer for more than 20 years, the increase in prevalence in our locality was only observed during the past 10 years. This can be explained by the fact that routine serum calcium level screening has been more commonly performed in public hospitals over the past 10 years. However, this practice remains uncommon in most outpatient clinics or private hospitals. Therefore, patients with hypercalcemia or primary HPT may not be referred to the appropriate specialists for further management. This may account for the comparatively lower incidence compared with the West. An increase in awareness of this condition with a wider routine application of the multichannel autoanalyzer may identify previously undiagnosed cases in the future. It was suggested that the frequency with which primary HPT was diagnosed was, in large measure, a function of one's index of suspicion, and that primary HPT is more prevalent in the population at large than its reported incidence would suggest.11 In addition, it would also be interesting to see whether the prevalence will reach a plateau or steady state in our population before decreasing subsequently as is the case in Western countries. Over the past 10 years, we have documented a significant increase in the number of patients surgically treated for primary HPT in a geographic area where primary HPT is considered an uncommon disease with a different cause. Similar to the experience of Western countries, the increase in prevalence in Hong Kong was accompanied by a change in the clinical pattern—an increasing number of patients presenting with milder hypercalcemia without significant complications. In contrast to other Asian countries, primary HPT in Hong Kong has evolved from a disease with significant metabolic complications to one that is of a milder form of primary HPT with asymptomatic presentation, mildly elevated calcium and parathyroid hormone levels, as well as smaller parathyroid adenomas. Corresponding author and reprints: Chung-Yau Lo, MS(HK), FRCS(Edin), FACS, Division of Endocrine Surgery, Department of Surgery, University of Hong Kong Medical Centre, Queen Mary Hospital, Pokfulam, Hong Kong, China (e-mail: cylo@hkucc.hku.hk). Accepted for publication June 28, 2003. We thank Polly Cheung, MD, for providing some of the data of patients who were operated on between 1973 and 1986.